Hanukkah is coming up this weekend and these dreidel gift boxes are just what you need to package up those presents for your family and friends. 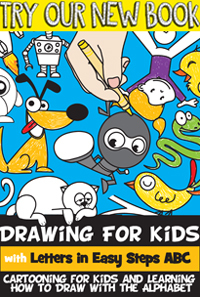 The cool thing about this project is that it turns into a fun dreidel game by just simply pushing a pencil through it. 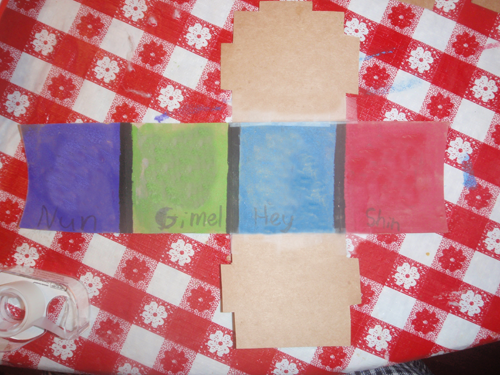 You can make these gift boxes as big as you need them to be as long as you have large sheets of paper. These Hanukkah dreidel gift boxes are fun to make and they look very beautiful as well. 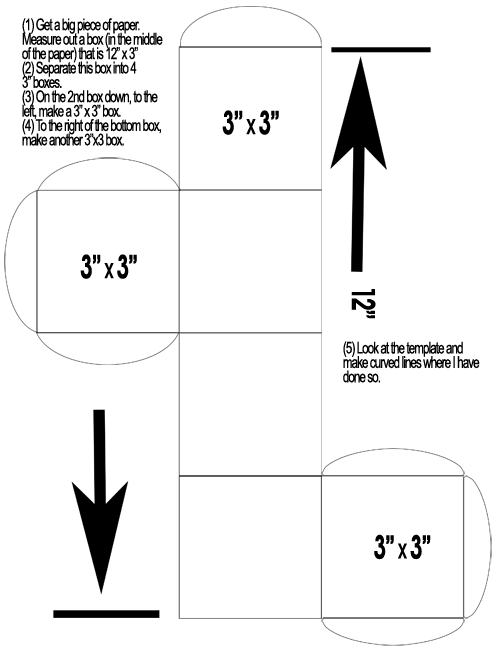 If Printing Out Template Then The Template is Below (This template is for 11 x 17 paper but you can reduce it to fit smaller paper but the box will be tiny) TO MAKE TEMPLATE BY HAND (FOR LARGER BOXES) SCROLL DOWN FOR FURTHER DIRECTIONS. 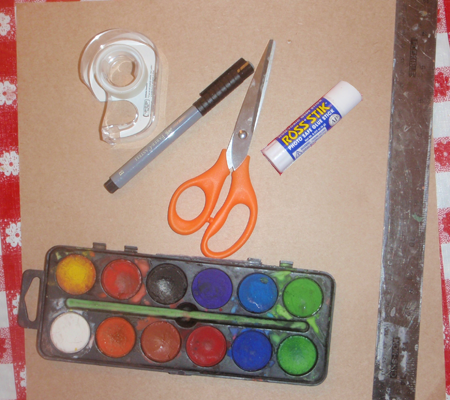 USE THE TEMPLATE BELOW TO MAKE A BOX TEMPLATE BY HAND-DRAWN METHODS. The box illustrated below is for 3″x3″ squares…but you can change this to any number that is a square – such as 5″x5″. Cut Out the Template after you draw it (The above template doesn’t look like the one I told you to make but it worked just the same). Get your watercolors (or other coloring method) out and color each square a different color (you can color the top and bottom box too if you want. I decided that I liked the brown look on the top. Also write out each Hebrew letter in English (Nun, Gimel, Hey, and Shin). You can paint a black line between each color if you want, it isn’t necessary though. Draw each Hebrew letter and paint them white and outline them in black to make them stand out on top of the colored squares. 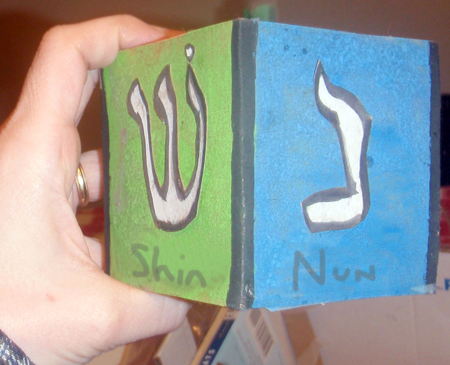 (From right to left the letters are as follow – (Hey, Nun, Shin, Gimel). This is a picture of my gift box before I folded it up. 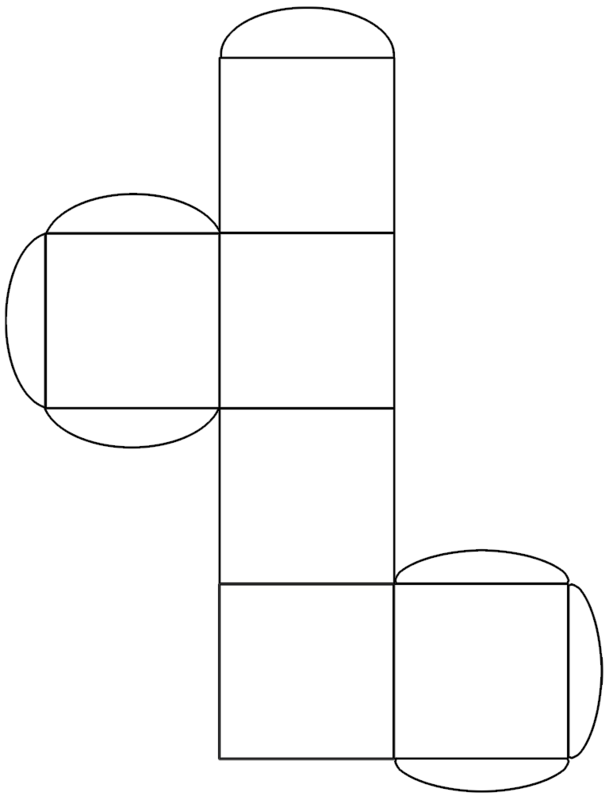 Fold at each line (so in between each square). 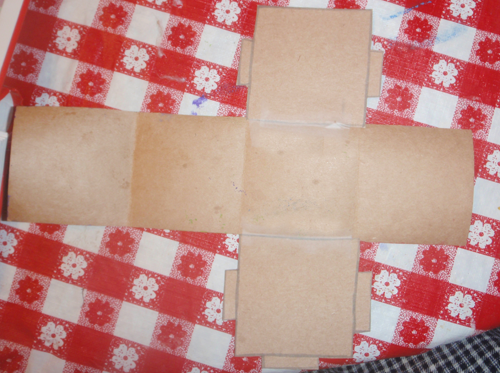 Also fold at each tab…this is what we will glue the box together with. After folding at each line, the box will start to take shape, just glue together and tape closed until it dries. To make the gift box into a dreidel, just stick a sharpened pencil through the top and bottom of the box. You can do this before you put the gift in, or you can do it after the box is opened. Visit This site for Dreidel Game Rules. Have fun.